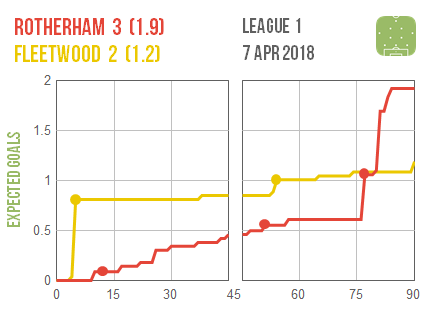 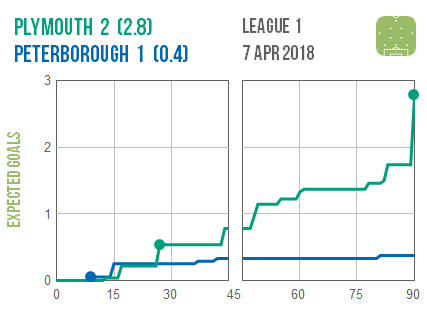 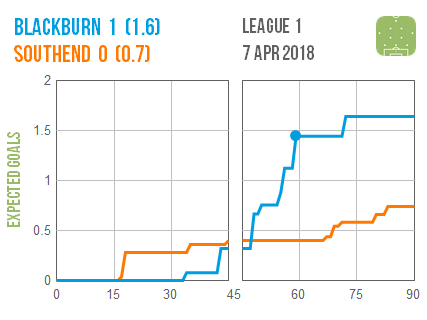 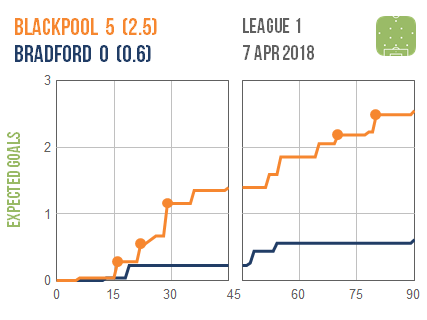 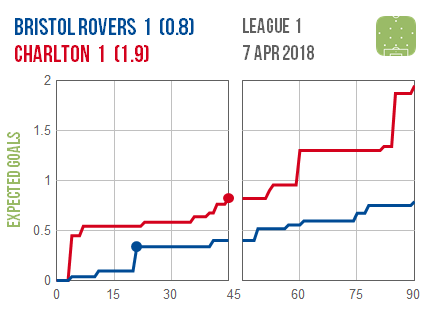 The margin of victory may have been a bit flattering (as is often the case with big wins), but there’s no doubt that Blackpool thumped Bradford pretty comprehensively – I wish I knew what was behind the Bantams’ protracted nosedive this season. 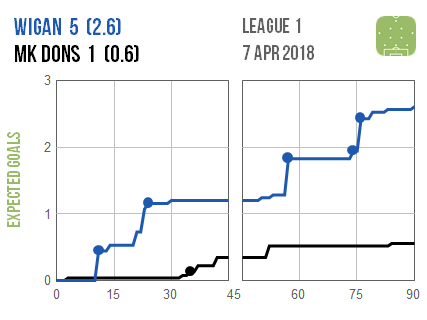 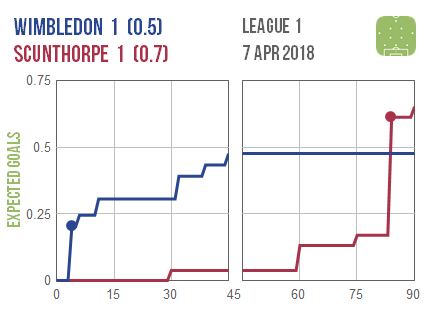 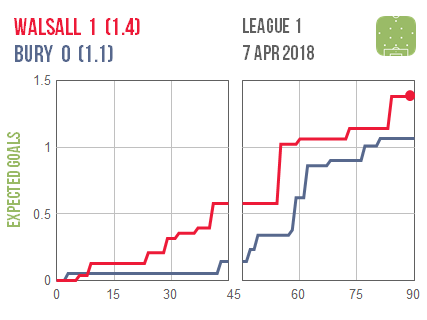 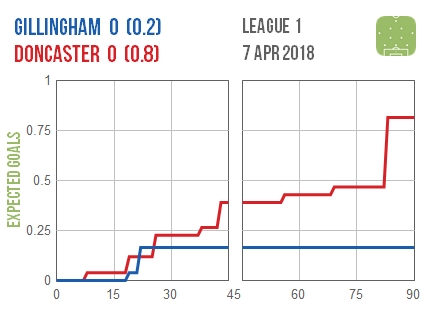 There was a similarly one-sided contest between Wigan and MK Dons, with the latter looking ever more likely to be relegated. 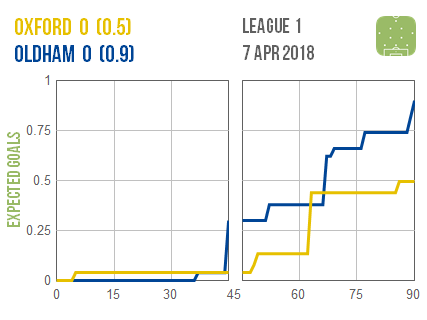 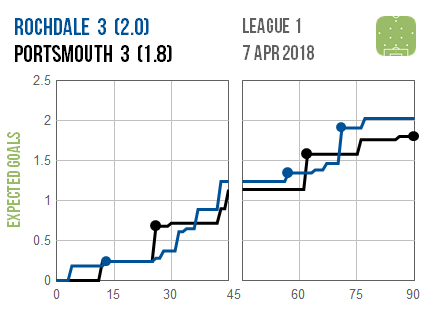 The first half of Oxford v Oldham looks to have been almost completely devoid of goalmouth action, with both sides perhaps more worried about the consequences of defeat.